This book deals with the issue of problematic market price prediction in the context of crowd behaviour affected by the psychology of the masses. It highlights the contrast between a phenomenon of mass psychology and the efficient market hypothesis, which is essentially based on a common economic theory. The basic assumption is that if there is a model of interaction between masses and agents participating in markets, then there also exist means for prediction of the whole market's behaviour, though nevertheless the behaviour of every single agent is not predictable. From a practical point of view, this book describes technical analysis methods used to predict price movements, and discusses a soft computing approach used in a composition of automated trading systems. 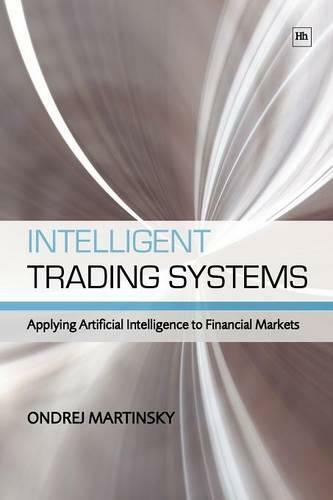 This book brings alternative, soft computing computational models to trading strategies and innovatively combines two different areas of science - artificial intelligence and technical analysis. One of the main benefits of this book is a demonstration that the soft computing approach in a combination with the "soft" social sciences accounts more reliable results than the conventional mathematical models.This book is for anyone interested in trading, financial markets and security exchanges, as well as for those who have theoretical or practical knowledge from the fields of artificial intelligence and soft computing, and want to know how these topics can be applied in financial markets.